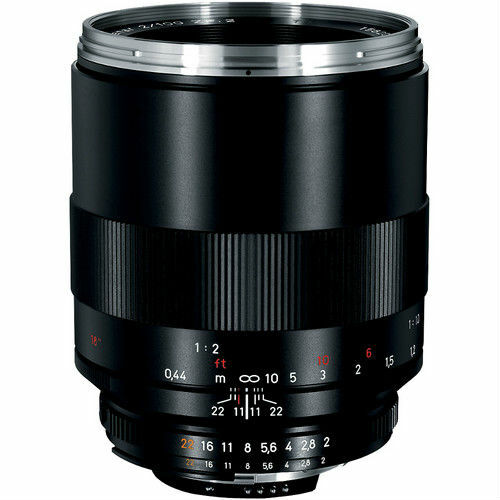 The Zeiss Makro-Planar T* 100mm f/2 ZF.2 Lens is a manual focus lens with a Nikon F-mount that has superior quality optics, combining sharp macro performance and a very fast maximum aperture. ZF.2 lenses have CPU coupling which provides aperture, program AE priority, aperture priority, shutter priority or manual exposure settings on camera models equipped with an electronic interface. A ‘floating element’ optical system enables the Makro-Planar T* to deliver superior quality images even at f/2, from infinity to the close-focus (1.4′, 0.44 m) distance. Users can employ selective focusing on important details with the clarity required for technical photography, effectively isolating the subject from distracting surroundings.